The all-time classic story about Anne, an orphan adopted into a Nova Scotian family, is presented here complete to readers. Although Anne's adoptive family - who originally wanted to adopt a boy - are initially apprehensive of the girl who arrives instead, they soon find her keen imagination and lively manner agreeable, and allow her to stay. 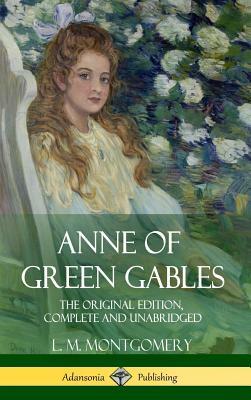 Bright, chatty and curious, Anne quickly takes to exploring the lands and village around the family homestead; the titular Green Gables. The book follows Anne and the family as the girl grows older, embarking on various endeavours and calling her adoptive parents 'kindred spirits'. In particular, the girl shines for her academic abilities and quick witted perception, but is also very sensitive, particularly about her red hair, which she habitually braids.